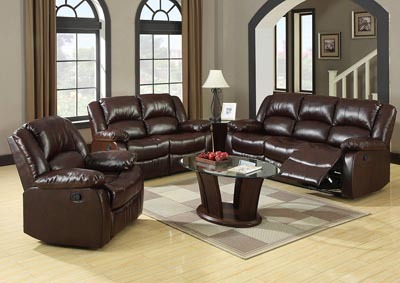 Relax and enjoy the soft comfort of this living room group, which includes built-in recliners in the sofa and love seat. 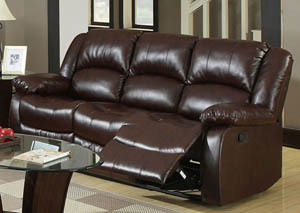 Create a sectional by adding a corner chair. 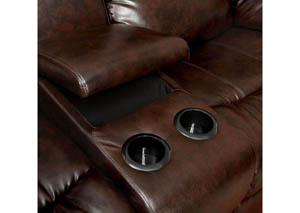 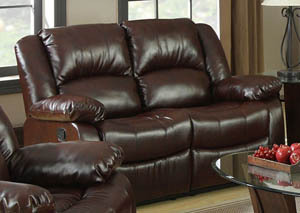 Upholstered in a rustic brown bonded leather.